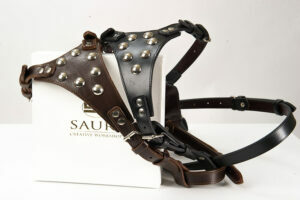 Leather dog harnesses for dog training routines are hand crafted for medium, large and giant dog breeds (M/L and L/XL size). 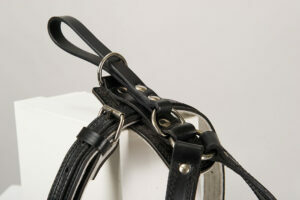 We mostly make leather dog harnesses with a handle for smoother dog handling. 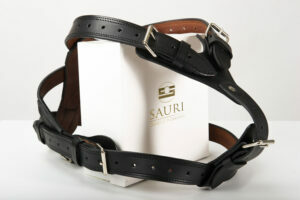 M/L size fits all working type dogs such as Labrador retriever, American Bulldog, American Staffordshire, Bull and Pitbull Terrier and L/XL size goes for e.g. Rottweiler, Rhodesian Ridgeback, all molossoid and mastiff breeds. 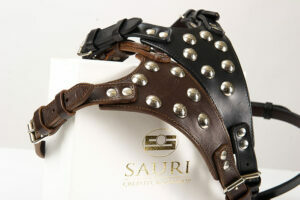 There is one leather dog harness especially designed for giant dog breeds, very impressive harness that we recommend for dogs like Kangal, Srednoaziatska ovcharka, Caucasian and Illyrian shepherd dog. 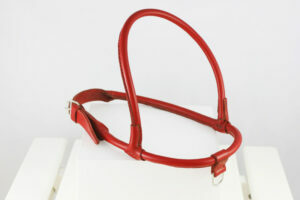 For sled dogs there are several models all of which designed to enable safe pulling of the load. 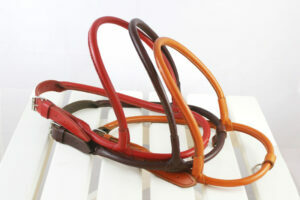 Apart from the working harnesses, there is a fashionable dog walking harness with round edges. It is primarily intended for standard poodles, Chow chow, Samoyed and other similar long-haired breeds whose rich coats need special care.